Nancy studied and danced for modern dance pioneer, Hanya Holm, and then danced with the Nancy Hauser Dance Company under the direction of Nancy McKnight Hauser. She also taught and choreographed while with the company, and her choreography was included in the Hauser Company repertory. She conducted the pilot program for the Minneapolis performing arts high school and maintained her own dance company while in Minnesota. Nancy was an original member of Chicago’s Steppenwolf Theatre, where she was an actress and the company’s first female director. In Los Angeles, Nancy was an assistant director at the Taper, Too, and a directing intern at the Mark Taper Forum New Works Festival. She was a producer of the Children of the World Project which received a Grammy nomination in 1985. She also was Managing Director, producer, director and actress with the Actors’ Company, as well as a founding member of Outpost Theatre Ensemble where she also wrote and produced her own plays. Nancy has been a guest teacher at the Pasadena Dance Festival since its inception, and was a guest festival teacher at the National High School Dance Festival in Miami in 2010. Nancy has been commissioned as both a teacher and choreographer by various studios and companies nationally and internationally, and was resident choreographer for Foothill Summer Theatre in the Los Angeles area. Her choreography was included in the 2007 Los Angeles Dance Invitational and she is working currently as a guest choreographer at Moorpark College. She launched Nancy Evans Dance Theatre in June of 2010. In addition to studying with Hanya Holm and Nancy McKnight Hauser, Nancy also worked with Murray Louis, Alwin Nikolais, Gladys Bailin, Daniel Nagrin, Billy Siegenfeld and Valda Setterfield. Nancy has served on the faculty at the Los Angeles County High School for the Arts, and currently teaches at La Salle Preparatory High School and LIneage Performing Arts Center. Jennifer Logan started formal training in Houston, Texas performing in various productions before getting sidetracked by a design career. She graduated from Woodbury University with a BS in Graphic Design and shortly thereafter founded Studio Fuse, Inc. to service nonprofit and performing arts organizations. Seeking some much needed balance, she headed back to dance. Jenn has had the pleasure of working with choreographers Eryn Schon, Rebecca Levy, André Megerdichian, Janet Roston, Frit & Frat Fuller, Tiffany Santiero and now Nancy Evans Doede, NEDT company members and guest choreographers. She has contributed to NEDT repertory with Coupling, Alter Ego, Apartment 6D: The Joneses and Lucy and continues to lend a hand on the visual side of things assisting with set and costume design as well as marketing needs. Katrina began performing at the age of seven, appearing in The Nutcracker with Pasadena Dance Theatre. Since then she attended the American Ballet Theatre summer program, and was a graduate of the Los Angeles County High School for the Arts in 2005. There she studied with Francisco Martinez, Marat Daukayev, Vera Ninkovic, Beth Hirschhaut-Iguchi and Don Martin. She performed for the Lester Horton Awards, DeAth Ballet/Los Angeles, and in charitable events such as S.O.S., Fashion With Compassion and Heavenly Creatures. She was a principal dancer with California Contemporary Ballet in 2008, was a guest artist with Aspen/Santa Fe Ballet, danced with Paradigm Dance Theatre and is currently also a member of ObjectDefy Aerial Entertainment. Karina studied ballet in Toronto Canada at Atelier Ballet, as well as the Boston Ballet School and Royal Danish Ballet. She performed and toured with the world renowned Baroque Opera company Opera Atelier throughout high school, but left Toronto for college at UC San Diego. Now she’s a mom, photographer, and occasional zombie here in LA. Ashleigh received the majority of her training from Le Studio Dance under the direction of Philip and Charles Fuller, Gilma Bustillo DeQuattro, Roberto Almaguer, Julia Ortega, Roxanne Olesijuk, Charles Maple and Nancy Evans Doede. She graduated from the Los Angeles County High School for the Arts in 2006, where she studied with KaRon Brown Lehman, Don Martin, Vera Ninkovic, Beth Hirschhaut-Iguchi, Reggie Brown and Randall Graham. After graduation, Ashleigh studied with Glenn Edgerton, and joined Anaheim Ballet, under the direction of Larry and Sarma Rosenberg, where she danced various soloist roles. From 2007-2009, she was a member of the Nancy Einhorn Milwaukee Ballet II. She performed with the Milwaukee Ballet in works by Michael Pink, Marius Petipa and Anthony Tudor. She danced with Pasadena Dance Theatre from 2009-12, as well as being an original member of Nancy Evans Dance Theatre. She participated in summer programs at Boston Ballet, San Francisco Conservatory of Dance, Springboard in Montreal, Hubbard Street Dance Chicago and Northwest Professional Dance Project. Ashleigh was a trainee at Nevada Ballet Theatre in 2010-11, where she choreographed and performed for the student outreach program and also choreographed and performed in the 4th annual Choreographer’s Showcase with dancers from Cirque du Soleil at the Aria hotel/casino theatre. 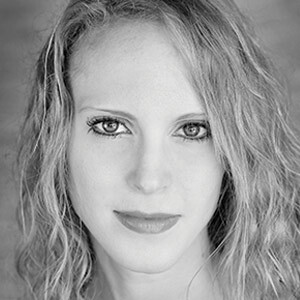 Jen Hunter began her training at Pasadena Dance Theatre with Cynthia Young and Laurence Blake. She received a BA in Dance from UC Irvine, where she worked with Jodie Gates, Loretta Livingston, Molly Lynch, and Diane Diefenderfer. She has also performed works under the supervision of Alonzo King and Glenn Edgerton. She also danced with Louise Reichlin and Dancers for two seasons. Noel began her training as a competitive Rhythmic Gymnast at the age of 6; after retiring she transitioned into dance and began training at Contra Costa Ballet in Northern California. She has also trained at Pacific Northwest Ballet School, The Alvin Ailey School/Fordham University and North Carolina Dance Theatre as an apprentice before joining their second company. She has also danced professionally as part ARC Dance Seattle, the San Diego Opera, and Pasadena Dance Theatre under the direction of Cynthia Young. Noel holds a BFA in Dance Performance from UC Irvine, and received second prize at the Washington DC National Society for Arts and Letters, The Mary Rich Peery Fife Dance Competition. Currently, she teaches ballet and Pilates in Orange County and LA area.